SIAL 2010 FAIR was arranged this year at Paris Nord Villepintela Exhibition Center, France between October 17-21, 2010. The world’s top Food International Exhibition had important innovations in manufacturing, distribution and imports, and where the agents of the food industry presented their products and discussed the new business trends. 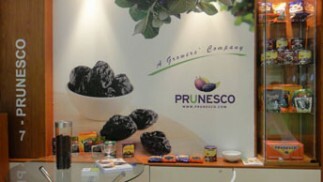 In the event, which gathered more than 185 countries, Prunesco had an outstanding participation. Along with 30 other local entrepreneurs and coordinated by ProChile and Chilealimentos, formed a stand of 560 m<, where a wide variety of foods from our country were released. Prunesco has actively participated in this fair, which is held every two years. This opportunity was no exception. The company, represented by Marcelo Lacunza and Pedro Monti, displayed the products sold in the international market and established contacts to further strengthen its internationalization in new destinations.